Freemasonry as a fraternity has existed for over 400 years. At it’s core, the primary goal of Freemasonry has remained the same as it was when the groups were made up of operative guilds that actually built things: to make good men better men. Whether that was an operative goal – to make a good mason a better mason who could build an external temple – or a philosophical goal – to make a good man a better man be guiding him in the building of an internal temple – is a moot point; the end result was the same: better men make better temples. Lurianic Kabbalah has absolutely nothing at all to do with Freemasonry, and applying the teachings of Isaac Luria is insulting to both Freemasonry and Kabbalah. Freemasonry isn’t a religion. It doesn’t pretend to be, it doesn’t intend to be. It is a fraternity of like-minded men striving to become better than the sum of their parts. The reason it continues to exist beyond schisms of faith and differences of politics that both inevitably lead down a path from which none return is specifically because it’s JUST a fraternity; it’s all about who can best work and best agree. Does Freemasonry need to ‘understand the origin of evil’? No. Freemasons only need to know what one very famous Masonic American President said: “The buck stops here.” A moral man, when confronted by evil doesn’t need to “understand” it’s origin. When confronted by evil, one turns the other cheek. You don’t “understand” evil, you stop it’s proliferation. Period. When you’re confronted by the sound and fury of evil, you don’t pass it on to the next guy; it dies with you – not within you. Turn the other cheek. The ultimate goal of Freemasonry will NEVER be “happiness of the human race and return of mankind in the state before the first fall.” It will ALWAYS be to make good men better men. When we can stop comparing Freemasonry to religion or Freemasonry to politics or Freemasonry to cantaloupe or Freemasonry to whatever the flavor of the week is, THEN we will become the light that we should always strive to become. From Wikipedia: Lurianic Kabbalah is a school of kabbalah named after the Jewish rabbi who developed it: Isaac Luria (1534–1572; also known as the “ARI’zal”, “Ha’ARI” or”Ha’ARI Hakadosh”). 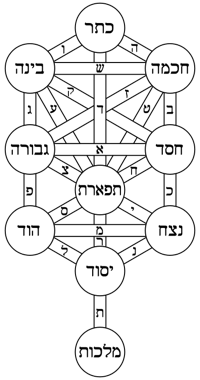 Lurianic Kabbalah gave a seminal new account of Kabbalistic thought that its followers synthesised with, and read into, the earlier Kabbalah of the Zohar that had disseminated in Medieval circles. Read more HERE.